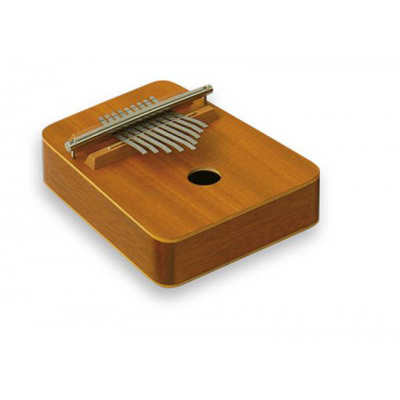 A classic high quality German made Kalimba with 9 notes. Tuned to a Pentatonic A Minor scale. This model has two holes in the bottom to create a vibrato. As all the notes harmonise with each other, beginners also enjoy immediate success with their instrument. Size: 19 x 15 x 6 cm.